The dough is made with wheat flour or semolina (or a combination of the two), then pressed into special molds, traditionally carved in wood. And the fillings are fragrant with rosewater or orange blossom. 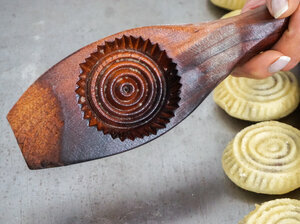 Traditionally carved wooden molds are used to give shape and form to the maamoul cookies. 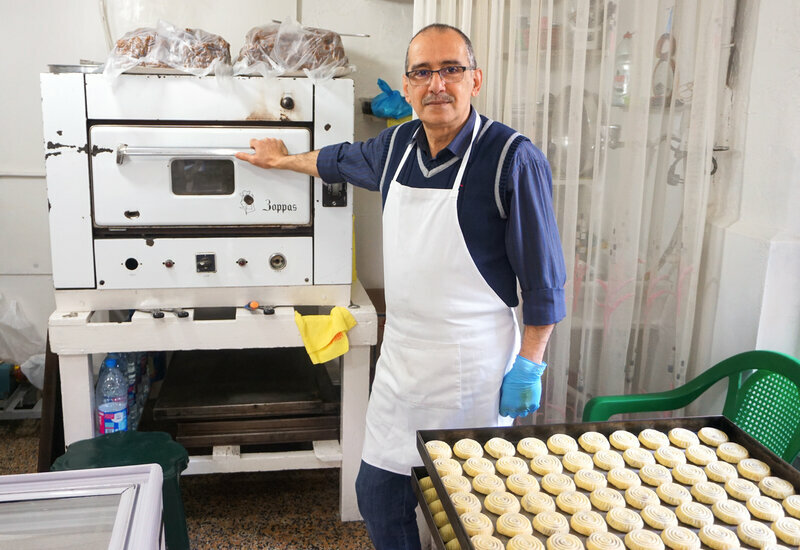 In the weeks leading up to Easter, the Beirut sweet shop Helwayat Al-Salam becomes a veritable factory of maamoul. Owner Mitri Hanna Moussa dips pitted dates into rosewater, then passes them through a meat grinder to make a paste. 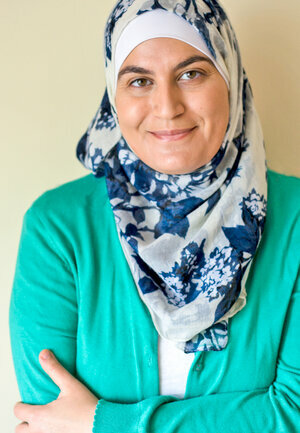 Mitri’s mother, Samira, a small, older woman with wrinkled hands but perfectly manicured nails, sits at a makeshift table sorting pistachios. She makes sure that neither a speck of shell nor a single shriveled pistachio makes its way into their renowned cookies. Once all ingredients are ready, Mitri and his assistant pinch off balls from their mountain of semolina dough. They shape the dough balls into small cups which they stuff with either date paste, pistachios or walnuts. Then, Samira presses each stuffed dough ball into an antique wooden mold, which she thwacks against a wooden stump to toss out a perfectly formed cookie, ready to be baked. In a matter of minutes, the three of them prepare dozens more. “I also make maamoul in the winter, but it’s a must for Easter” says Mitri. In a country where many Christians give up dairy, sugar and meat during Lent, the 40-day period of penitence, the luxurious cookies are a welcome reward at Easter. Mitri says his father Hanna opened his sweet shop in 1949, on a busy corner in Achrafieh, a predominantly Christian quarter in Beirut. Back then, they didn’t even own an oven. So the family would prepare the sweets in their shop and walk them over to the neighborhood baker for baking. Maamoul, as it’s called in Syria, Jordan, Lebanon, Israel and Palestine, goes by kombe in southern Turkey, and as kahk in Egypt. Kahk seems to be the indisputable ancestor of maamoul, as it’s depicted in temple paintings and carvings dating to the Pharaonic era. “Even now, we pile kahk the same way, like a pyramid,” says Ahmed Hameed, a tour guide and Egyptologist in Cairo. 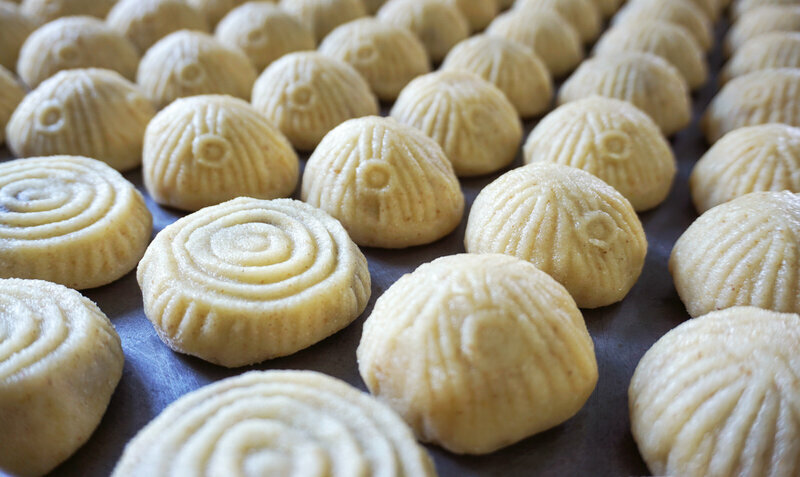 Like maamoul in other countries, kahk in Egypt is traditional for both Easter and Eid. But in addition to nut fillings, Egyptians also have versions stuffed with agameya (a honey-walnut concoction) and loukoum (Turkish delight). How these cookies came to be associated with Easter and Eid is less certain. 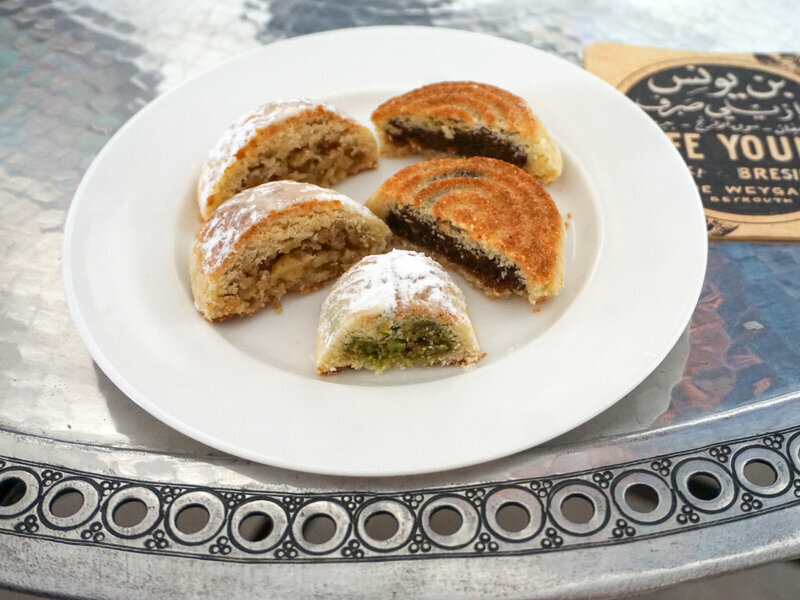 “Some say the cookies are meant to remind you that though fasting is hard, within it is a sweet reward, exactly like maamoul’s outer shell is bland but the core is sweet,” says Sawsan. Amy E. Robertson is a writer currently based in Beirut, Lebanon. Follow her on Twitter.